On this Day – Drivetime – 28.3.1820 – Birth of William Howard Russell, the ‘father of war reporting’. Russell’s reporting from the bungled war in the Crimea aroused the ire of, among others, Prince Albert. Queen Victoria’s consort wrote of Russell that ‘the pen and ink of one miserable scribbler is despoiling the country’. So we have to assume that he was doing something right. The myth of Russell is that he was a campaigning polemicist who exposed the incompetence of the British High Command and whose blistering indictment of the Army’s derisory medical facilities, which were killing far more ordinary soldiers than the Russians, led to the arrival of Florence Nightingale in Crimea. This resulted in the consequent increase in the average life expectancy of the average soldier and the birth of a caring legend. As with most myths some of it is actually true. Disease and abysmally inadequate hygiene were indeed far greater killers than Russian cannon or musketry in the Crimea. 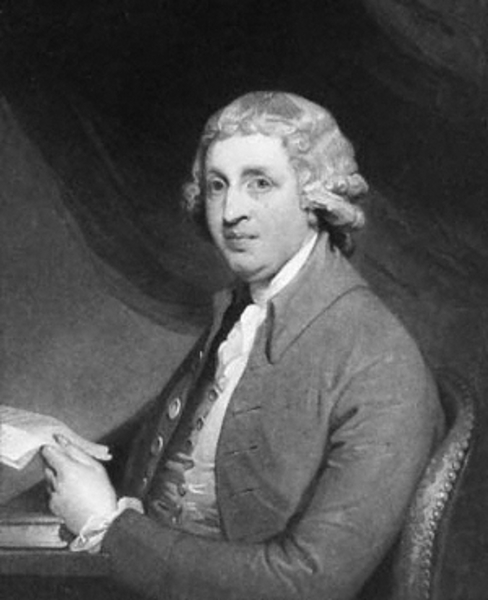 But it was not Russell who brought this to the attention of the readers of the Times but the paper’s Constantinople correspondent Thomas Cheney. Neither was Russell the only correspondent in Crimea. He faced competition from his equally accomplished but much younger fellow Irishman Edwin Godkin of the Liberal London newspaper The Daily News. It was an era of romanticism, so mundane and meaningless death was not permitted, not even to readers of the Times. Alfred, Lord Tennyson, duly took note and futile gesture became enduring myth in one of his most famous poems. But the salient part of Russell’s own myth is true. He did make a difference. He was subjecting military incompetence to independent scrutiny for the first time. He had great moral courage because he had to put up with the hostility of many of the members of the officer corps. 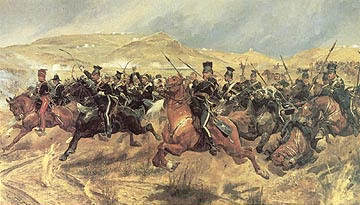 He was blacklisted and Lord Raglan, the British commander, advised his officers to have nothing to do with Russell. Furthermore he established the campaigning credentials of the Times – earning its nickname The Thunderer – and set a standard in war reporting which would not fully erode until just over half a century later with the onset of World War 1. William Howard Russell, the acknowledged father of war correspondence, a term, incidentally, which he loathed, was born in Tallaght one hundred and ninety four years ago on this day. OTD – DT – 21 March 1656 – Death of James Ussher – the man who calculated the date of the creation of the universe. ‘Big Bang’ – what Big Bang? In case you ever wondered about the date on which the universe was created it was, apparently, 23 October 4004 BC. That may seem a trifle recent to many of us – given that the dinosaurs are reliably reported to have ruled the earth millions of years ago, but it was the carefully deduced calculation of the 17th century Church of Ireland Archbishop of Armagh, James Ussher. Ussher was born in 1581 into a wealthy Anglo-Irish family. He was one of the first students of Trinity College Dublin. It was established in 1591, he became a student there in 1594 at the tender age of thirteen. His callow youth would today result in him being rejected by the computer in the CAO application process but going to college in your early teens was not that unusual in the 16th century. He left his mark at Trinity in that one of the college libraries is named after him. He also occupied the post of Professor of Theological Controversies there. That would be an extremely interesting position for a committed creationist today. He became primate of all Ireland in 1625 and occupied the position until his death in 1656 – so he served during interesting times. However, he left Ireland in 1640 for what turned out to be the last time. The rebellion of 1641 saw him lose his home and income at the hands of Catholic rebels. Even before losing much of his personal wealth he wasn’t a great fan of Roman Catholicism and was not in favour of allowing Catholics to exercise their religion freely. He once wrote that … ‘The religion of the papists is superstitious and idolatrous; their faith and doctrine erroneous and heretical’ So not much ecumenical wriggle room there. It may come as a surprise, therefore, to learn that Ussher’s own mother was a Catholic. During the English Civil war he was forced to choose sides. He chose the wrong one. Although something of a Puritan himself he opted to remain loyal to King Charles. Only the protection of influential friends allowed him to remain unscathed in London after the victory of the Parliamentarians. From the roof of the Countess of Peterborough’s house he watched the execution of the King, but is reported to have fainted before the axe fell. It was in 1650, in The Annals of Old Testament, that he published the result of his calculations as to the date of the creation of the world, a feat also attempted by the way, by Isaac Newton. His rationale was that Christ had actually been born in 4 BC and that the world had been created precisely 4000 years earlier with God starting at sunset on 22 October and finishing the job the following day. As Solomon’s temple had been built 1000 years before the birth of Christ and as it had been constructed 3000 years after the act of creation that meant 4004 was the year of Genesis. He also claimed that Adam had been created at the same time. His theory is still popular with many who don’t hold with the theory of evolution or the science of carbon-dating. Clarence Darrow raised Ussher’s calculations in his cross-examination of William Jennings Bryan at the famous Scopes trial, the so-called ‘Monkey trial’ in 1925 where a teacher was on trial for teaching the theory of evolution to his students. Despite his support for the King in the Civil War Ussher, possibly because of his latent Puritanism, was held in such high esteem that he was buried in Westminster Cathedral, with the approval of Oliver Cromwell. 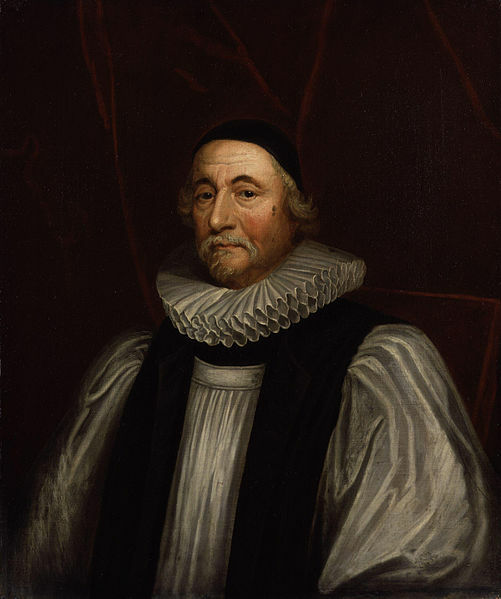 James Ussher, bishop, theologian and philosopher died three hundred and fifty-nine years ago, on this day. Grace O’Malley, born in 1530, was from a seafaring family based around Clew Bay in Co.Mayo. Seafaring being a bit of a euphemism for piracy. Her family, with its main stronghold on Clare Island, reserved to itself the right to levy all vessels fishing off their coastline, no matter where they came from. Whether that was tax collecting or piracy is a moot point. To this day there are those who still see little distinction between the two pursuits anyway. The only child of Eoghan Dubhdara and Maeve O’Malley, Grace was a bit of a tom-boy to say the least. She was flamboyant and belligerent. As a child she earned her famous nickname ‘Granuaile’ by cutting off her hair when her father refused to take her on an expedition to Spain on the spurious pretext that her long tresses might catch in the ship’s rigging. Thereafter she became known as ‘Bald Grace’ or Grainne Mhaol. She was married twice and was rumoured to have had many lovers, although this was an accusation regularly levelled against powerful women during the 16th century. 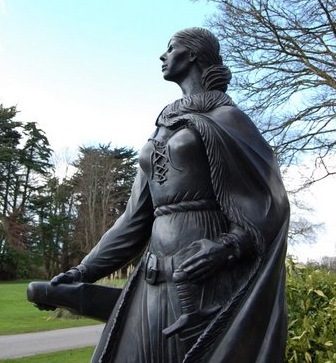 Her first husband was Donal an Cogaidh O’Flaherty – Donal of the Battle – whom she married at the age of 16. After his death Grace set her cap at the wealthy and influential Richard Bourke. He was known as Risteard an Iarainn either because he always insisted on wearing a coat of mail inherited from his Norman ancestors or because he controlled much of the iron manufacturing in Connacht. Or both. Grace and Richard married under the Brehon Law, which, as it happened allowed a wife to divorce her husband. And, as it happened, that appears to have been exactly what happened. Grace, installed in Bourke’s ancestral pile, Rockfleet Castle, ended the marriage by the simple device of telling her husband ‘Richard Bourke I dismiss you’. But she cleverly kept the Castle. Grace and her first husband, Donal O’Flaherty, didn’t make themselves very popular with the merchants of Galway who complained to the English court that the O’Malleys and O’Flahertys were behaving like pirates. Not that Granuaile confined her activities to her own back yard. Her revenue raising exercises ranged all along the south and west coasts. She was, by and large, a supporter of rebellion, though she was not averse to helping out the English administration in Ireland when it suited her. However, when her sworn enemy, the English governor of Connacht, Richard Bingham, kidnapped two of her sons and her half-brother in 1593 she took the unusual step of sailing to England to make the case for their release directly to Queen Elizabeth herself. It was, by all accounts, a memorable occasion with Grace dressed in the 16th century equivalent of creations by John Rocha and Phillip Treacy. The essential difference being that she also sported her own concealed dagger, de rigeur in the Tudor period, but calculated to ruin the line of a piece of 21st century couture. 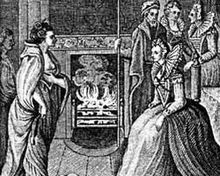 Elizabeth was impressed by the Irish pirate Queen, politically empowered women being thin on the ground at the time. An accommodation was reached which didn’t last very long and resulted in a fleet being despatched to seek and destroy Granuaile’s power base. Between the time of her meeting with Elizabeth 1 and her death, probably in 1603, Grace threw her support behind the forces gathered by O’Neill and O’Donnell in the Nine Years War. O’Malley has been feted in prose, poetry and music by artists as diverse as Shaun Davey, Patrick Pearse and the Sawdoctors. The Commissioners of Irish Lights have named not one but three vessels after her though the fact that the Asgard carried a figurehead of Grace didn’t stop it sinking in 2008. An English expedition prepared to leave Galway to take on the might of Grace O’Malley, aka Granuaile, aka the Pirate Queen, 420 years ago, on this day.